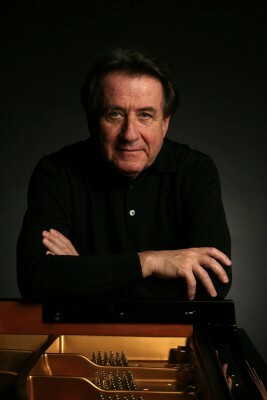 Apart from his wife Agi and his Steinway, the pianist Rudolf Buchbinder has remained especially loyal to Beethoven, a composer who has kept him company since his childhood and whose thirty-two piano sonatas have been the source of intense interest on his part for the last thirty-five years. There have been times, says Buchbinder, when he has dreamt about Beethoven. The composer has pursued him day and night and often driven him half mad. This intense engagement with Beethoven’s piano sonatas has resulted in two recordings of the whole cycle and in concerts at which he has performed all thirty-two sonatas on seven consecutive days. It is very much his extensive knowledge of Beethoven that invests his interpretations with the freedom that he needs to be spontaneous. Before he goes out on to the stage, he refuses to tie himself down in terms of particular interpretative decisions. He has only one rule of thumb: he takes a nap before each concert. Now seventy, he says that he needs this for his grey cells. Rudolf Buchbinder was the youngest student ever to have enrolled at the Vienna Academy of Music. He was still only ten when he performed for the Austrian chancellor, Julius Raab, at the Vienna Musikverein. Raab became his sponsor and supported the young pianist’s training. During the 1960s he began his career as a chamber musician, performing with Josef Suk and János Starker. Since then he has appeared with every major orchestra and international conductor. Although his technique continues to improve with age, he is now far more nervous than he used to be before a concert, because now he has to convince not only his audience but also – which is much harder – himself. As artist in residence Rudolf Buchbinder will be heard during the 2016/17 season performing concertos by Beethoven and Brahms and chamber music by Schumann and Dvořák.